Starting today, the OnePlus X will be available for purchase without an invite on each Tuesday. Earlier this month, OnePlus opened the doors of its online stores, selling both the OnePlus 2 and the OnePlus X without the need for one of those dreaded invites. Shortly after, the company dropped the invite system altogether for the OnePlus 2, and now it looks like the smaller OnePlus X is riding down the same path, although it's not at the finish line just yet. Priced at $249 unlocked, the OnePlus X offers quite a lot of value for the money. 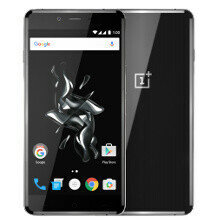 With specs such as a 5-inch AMOLED display running a resolution of 1080 by 1920 pixels, a Qualcomm Snapdragon 801 chipset, 3GB of RAM, and 16GB of expandable internal storage, and a 13MP primary camera, the OnePlus X is able to compete with high-end handsets in terms of design, build, and camera quality. This doesn't mean that the handset doesn't come without its fair share of flaws - as pointed out in our detailed OnePlus X review - but there can be no denying that the OnePlus X is an attractive smartphone given the price. Is anyone happy that the OnePlus X is now available for purchase without an invite each Tuesday? If so, feel free to share your enthusiasm in the comment section below! I feel conflicted about the LTE but 3G is livable. My Moto X 2013 needs a rest. These work on cdma services or just gsm?? ?